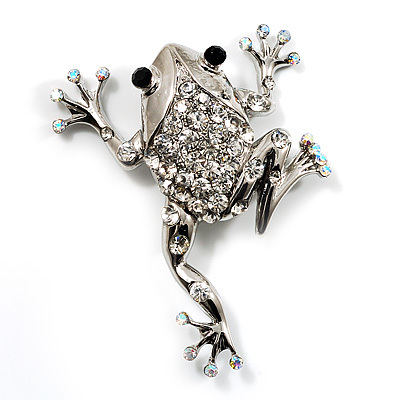 This cute leaping frog brooch is crafted in shiny rhodium plated metal and pave set with clear crystals. The eyes decorated with tiny black stones for unique look. It measures about 5.5cm x 4.5cm and fastens with a flag pin and revolver clasp.